Whether you are a first time home buyer, looking to purchase a second home away from home, increase your investment portfolio, or ready to purchase your luxury dream home of a lifetime you can certainly find it here in the valley! It is the perfect time to purchase! When choosing your new home it is important to use a REALTOR® with the necessary experience to assist you with current market trends and values in the area you are looking. I have that experience with my background as a certified residential real estate appraiser to effectively assist you in making the best possible decision. If you’re just beginning to look, utilize my Free MLS search and you will notified automatically as soon as properties come available or price discounts are noted. I look forward to visiting with you soon. P.S. Please tour through my web site. I'm sure you'll find the resources here useful and helpful. Enjoy! 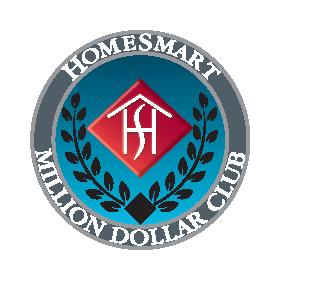 IMPORTANT NOTICE: HomeSmart is not associated with the government, and our service is not approved by the government or your lender. Even if you accept this offer and use our service, your lender may not agree to change your loan. If you stop paying your mortgage, you could lose your home and damage your credit rating. Associations: National Association of Realtors® (NAR), Phoenix Association of Realtors® (PAR), West Maricopa Association of Realtors®- (WeMar), ARMLS (Arizona Regional Multiple Listing Service®). 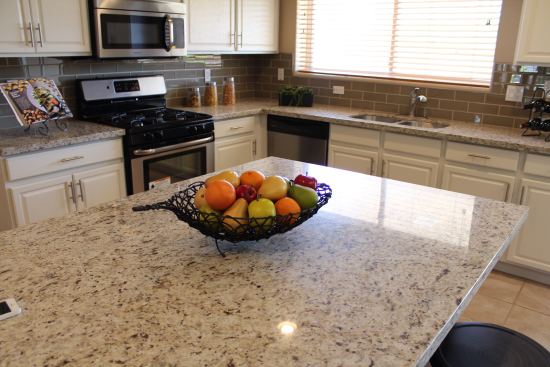 Prior Accomplishments: Iowa Certified Residential Appraiser License, Mortgage Lending, Property Investments, Fix & Flip Remodel Projects and Design. My family and I transferred to Arizona from Iowa in 2004. My prior background includes: Certified Residential Appraiser and working in the Mortgage Industry prior to becoming an appraiser. Developing my skills as a certified appraiser provided the necessary wisdom to analyze market data sets for valuation, trends and real estate investments. Many valuable skills were performed and great insight in the mortgage lending arena, including mortgage origination, processing, closing of loans, funding of loans, secondary market, and post closing. With my extensive real estate and mortgage background, I can offer you with assistance from start to finish with your real estate investment decisions. Whether you are buying or selling, I look forward to visiting with you soon and am honored to have the opportunity to serve you and your family during your new home purchase or sale. Referrals are the best compliment! I would the love the opportunity to visit with you, your family and your friends! Buyers: R. & K. Olivetti: Working with Amy was a real pleasure. We are out of state buyers and with Amy's assistance, we were able to find the perfect home. She was always quick to respond to any questions that we had and she even provided us with photos during the construction process. Amy is a true professional and we would highly recommend her! Sellers: M. & L. Pearson: When my husband and I decided to get serious about finding a second home in Arizona, we called on Amy because we knew her from Iowa. It was good to have a familiar person to work with who we knew would keep our best interests in mind. Amy was patient, knowledgeable and conscientious on every detail of our purchase. Her advice and counsel was tremendousand made us feel comfortable throughout the entire process. Anyone needing a realtor would do well to hire her! Thank you Amy! Sellers: M. & A. Kelley: My wife and I are very impressed by Amy. She is very knowledgeable on every aspect of selling a house, and knows real estate inside and out. She gave excellent advice for what we needed to do to the house in order to sell it at the price we were hoping for. She understood the comparable pricing in the area, and her marketing and follow up with potential buyers sealed the deal for the sale of our house. We also sold within the average number of days Amy estimated we would sell in. We will certainly use her again. Buyers & Sellers: K. & G. Renne: Amy takes the time to know her clients needs and wishes. I have had the pleasure of working with Amy on both a purchase and sale of a home. She is extremely knowledgeable about the market and trends that help in making decisions. I would highly recommend Amy Schultz for all my reality needs!!! Buyer & Seller: A. Kramer: When I lived in Phoenix I loved working with Amy! She always had my best interest for sure! She found me my first home and also sold it for me! Highly recommend her for any of your real estate needs/wants/questions! Buyers: S. & B. Wirth: Amy was our buyer's agent for 2 really difficult transactions involving messed up leagals and title issues. She hung in there and worked for every penny of her commission. When we sell, she will be our agent! Buyers: C.& A. Tomkinson: We worked with Amy to purchase our new home when we moved back to Arizona after a short absence away, and in the purchase of a condo for one of our daughters. Amy was on top of everything and it was a great feeling to not have to worry about what needed to be done to close these two deals. She is professional, hard working and a great realtor. If you are looking for someone to help you with any real estate needs I would highly recommend Amy. Buyer: B. Kasper: Amy is very professional and always has the buyers best interest at heart. She will always get the job done as a perfectionist. She made my buying experience stress free and I very much enjoyed working with her. You will never go wrong retaining Amy as your realtor. Buyer: B. Huseman: Amy is the LeBron James of real estate! There were several delays that affected my home sale, as a result of the seller being difficult, and Amy hung in there with me the whole time because she "knew that this was supposed to be my home." I was inexperienced and she made sure I understood everything I needed to know. She knows the industry SO well. She did everything necessary to get me into the home I wanted at a fair price. I'm so grateful! Seller: R. & C. Scribner: (2nd Home Sale) My wife and I met Amy when she helped us find a house about 4 years ago. We were moving from out of state. She handled our transaction for us and made our move in experience very easy and comfortable. When family called us back we contacted her to sell our house. This time she was even more incredible. She instructed us on what to do and how to sell our property. We listed and within 4 weeks we were scheduled to close. She was very professional and personal. She not only knows the market but truly knows how to sell. Amy has helped us fulfill our dream twice and we can't thank her enough. When we retire we know who we will be contacting to help us again. Thanks again Amy for a job well done. Seller: K.Kalsnes: Amy, Thank you for all of the work that you did with the sale of my home! You were extremely professional and knowledgable about the market. I was impressed with the pictures you took and the market listing that you wrote. You did an exceptional job with the screening process, advertising, and showings. Also, I appreciate that you worked around my schedule and assisted with the details of the offers and closing. I would highly recommend you, and I already have, to anyone buying or selling property in the Phoenix, AZ area. Seller: R. Brinkely: Amy, I wanted to take a few minutes and say Thanks for all the work that you have done on the sale of my house. During these hard times, you have been nothing but help. You have made selling my house so easy, and worry free. My house was on the market for just under one week, and we had a full price offer. It was wonderful. From day one you have taken charge, answered all my questions, calmed me when I was stressed, helped when I was overwhelmed and just been wonderful. When I wondered about something after-the-fact, you had already thought about it before hand. I have worked with other real estate agents before with my prior employment, and NO-ONE has the compassion, dedication, and "go-to" that you do. If anyone ever needs a top-notch agent, you are a perfect match. I would and will recommend you to any and all. Buyer: M.Foss: Amy was a pleasure to work with. She always did what she said, and was always there when you needed her. She made the whole process easy and painless. To close on a "short sale" we did it in record breaking time, and the timing of it all was perfect. If you want to feel safe and secure and that you're making the right decission, then I would highly recommend using Amy as "your" realtor. Buyers: R. & C. Scribner:"Amy worked with my wife and I to purchase a home in Arizona, we live in Ohio, Amy was a solid professional.She helped with all aspects of the purchase from setting up escrow to helping find other people to answer questions she could not. She went out of her way to show us many homes when we were in town,and even made us feel good enough to trust her instincts when we were back in our home town. She always got answers to any of our questions and responded almost immediately.She went above and beyond any of our expectations of a real estate agent. She was an absolute pleasure to work with.We recommend Amy to anyone who is looking to buy or sell property. She is truly a professional.We love the house and when we move to Arizona we hope we can continue to have a relationship with her." Buyer: A. & A. Spletter: We are loving the house, thank you for working with us! Buyer: D. Jensen: Amy is the BEST! She goes out of her way to explain everything and take care of her customer. She made numerous trips for me to the property for inspections, when I had questions, and just to check on it for me. She caught several items that saved me a ton of money and I am very grateful! Buyer: M. & M. Mehio: I just wanted to let you know that we love our new house. We thank you for your professionalism, hard work, and sincerity. We would highly recommend you to friends and family. It was a pleasure working with you. Buyer: W.&M.Fells:I want to thank you so much for all your efforts and hard work you provided for us. Please do not think for a moment that we are not aware of how many times you rearranged your schedule to accommodate us at a moment's notice. You guys are a great team not to mention Theresa. I never would have dreamt that things would have gone so smoothly and ahead of schedule. When I tell people our story they are just amazed. You, Jeff and Theresa are fantastic! I want to thank you to for your positive and upbeat attitude. There were times when I would get so discouraged and you would tell me that there is a house that's meant for us and you were right. I have kept both yours and Jeff's numbers so that if I ever hear of anyone needing either one of your services I will give you a call. I really am so amazed at what a positive experience this whole process has been. Seller: Rev D.Huusko: Diligence and integrity make the clear difference in having Amy as a Realtor. Her willingness to truly go the extra mile and her competent insights and helpful suggestions got our house sold well ahead of the market average. Without reservation, I would recommend Amy highly to anyone who is serious about selling a home in today’s market. Seller: A. Huusko:I personally want to thank you for your professional & insightful advice during our sales transaction. You really know the market, conducted yourself with confidence & went above and beyond for us. Truly a joy to work with! !